WASHINGTON — Among the 170-plus veterans running for Congress this year are 67 incumbents trying to keep their seats. More than 70 percent of those are Republicans, but Congress could see a big jump in the number of Democrats if that party’s Election Day hopes come true. Defense and Veterans Affairs issues haven’t played a big role nationally this election cycle, but the status of the incumbent veterans will become a major factor in the balance of power in Congress. Several sit in key swing districts, where substantial sums of outside money are playing a role in the race. Coffman, an Iraq War veteran who served in both the Army and Marine Corps, is often among the most endangered incumbents each election year. His suburban Colorado district is a top target for Democrats hoping to take a majority in the House, and recent polls have cast doubt on whether he will win a sixth term. 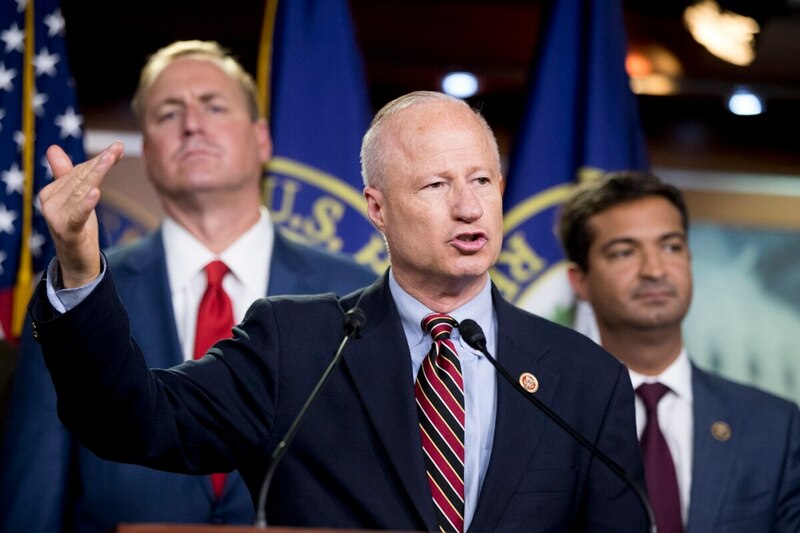 Coffman is a fixture on the House Veterans’ Affairs Committee and the head of personnel policy for the House Armed Services Committee. If he can retain the seat, he’ll continue to grow as an influential voice on veterans and defense issues for the party. If he can’t, it will be a big boost to Democrats’ political goals. Hunter, one of the most outspoken veterans in Congress, was indicted in August on charges he allegedly used more than $250,000 in campaign funds to pay for a host of personal expenses. Hunter has called the allegations a political attack by operatives within the Department of Justice. The indictment hasn’t seemed to seriously endanger his re-election campaign so far — he leads in local polling — but has forced the Marine Corps veteran to step down from his seat on the House Armed Services Committee as the investigation continues. If he wins in November, the lingering legal problems still could affect how much influence he has in the next Congress. Nelson, an Army veteran who has served in the Senate for 18 years, is squaring off against Navy veteran and Florida Gov. Rick Scott in a race that could determine whether Democrats can gain control of the Senate. Current polls show Nelson with a slim lead, but a loss by him all but guarantees Republicans will keep the majority in the Senate. Defense issues have largely taken a back seat to local priorities in the campaign. Nelson serves on the Senate Armed Services Committee. Scott has been frequently seen on the campaign trail sporting a Navy ballcap to further emphasize his service. Taylor, who served in Iraq as a Navy SEAL, is in a tight race with Democratic challenger and fellow Navy veteran Elaine Luria. The district is one that Republicans will have to hold on to if they have any chance of retaining a majority in the House. The Norfolk-area district has a large veterans population, so military and post-military policies have played a role in the campaign. Recent polls have given Taylor an edge, but Democratic backers have targeted the race for an infusion of late campaign cash. Will the number of veterans in Congress rise next year? Experts say more veterans are running credible campaigns for congressional seats this year than ever before. Lamb, a Marine Corps legal officer who is still serving in the reserves, scored a slim victory in a special election in March despite expectations that the Republican-leaning district would favor his opponent. Because of redistricting ordered by the state Supreme Court, he now faces a contest against incumbent GOP Rep. Keith Rothfus. But national Republican Party leaders have begun withdrawing financial support from Rothfus in recent weeks, a signal that they may consider the contest already safely in Democratic hands.